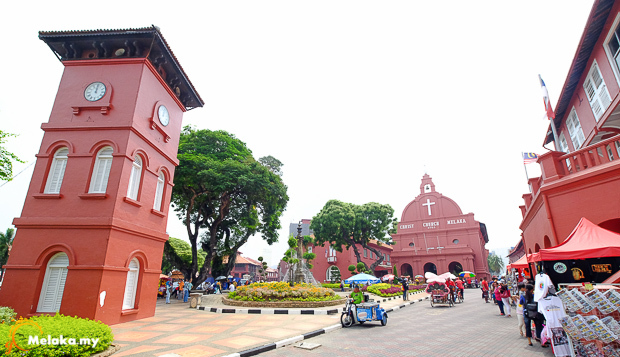 Dutch Square is surrounded by red painted buildings. 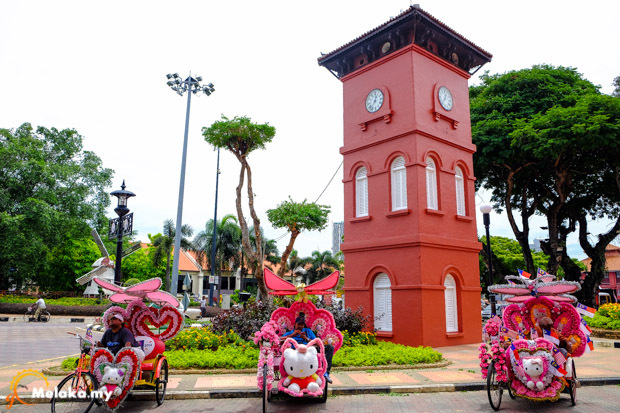 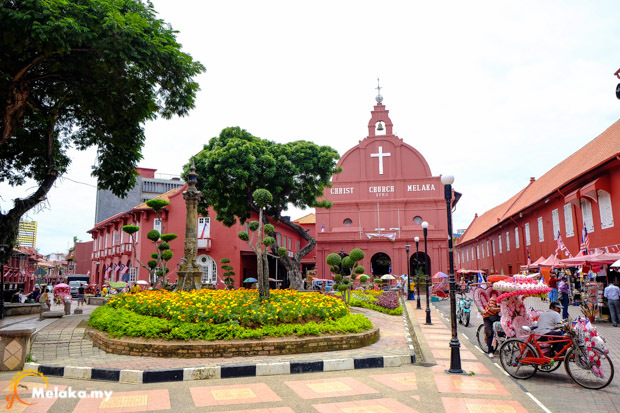 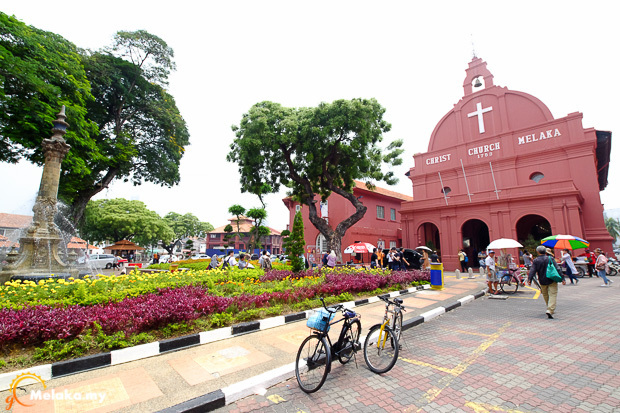 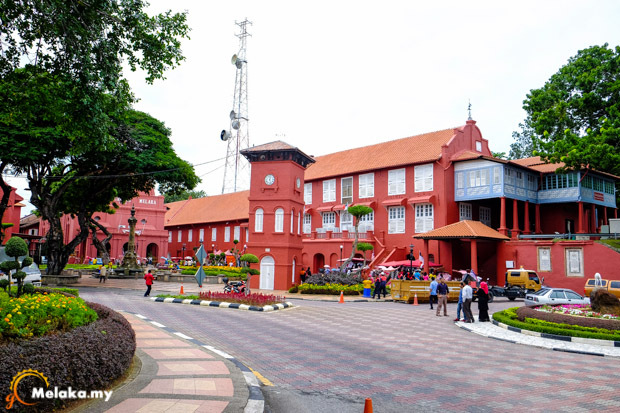 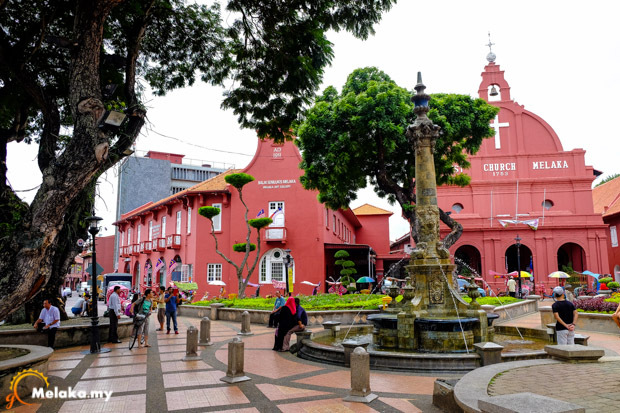 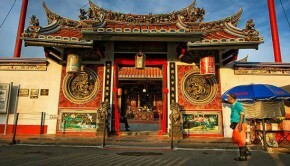 It reflects the history of Melaka, the Dutch administration (the Stadthuys, Christ Church), the British colonization (Queen Victoria’s Fountain), and the Chinese settlers (Tan Beng Swee Clock Tower in honor of a generous Chinese tycoon). 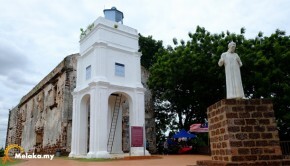 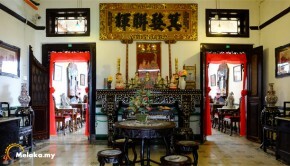 The Portuguese traces remain at A Famosa. 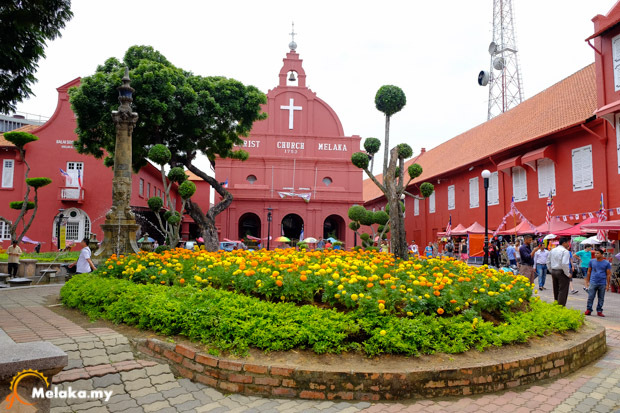 But you can see some ruins of Portuguese fortress on the bank of River Melaka across the Square. 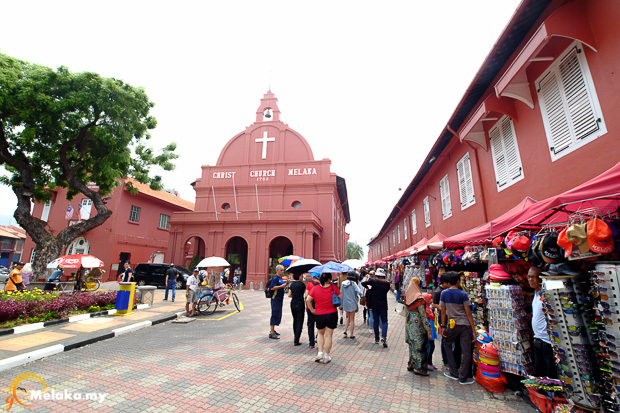 What you will like about Red Square it is the atmosphere like a carnival square where you find many tourists and locals like those from other states of Malaysia, overseas tourists other than Singapore like China, Taiwan even Indonesia, European and American tourists. 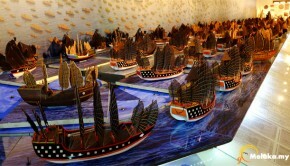 The hustle and bustle of the tourists posing and snapping photos; those souvenirs shops crowded with souvenirs hunters so overwhelming. 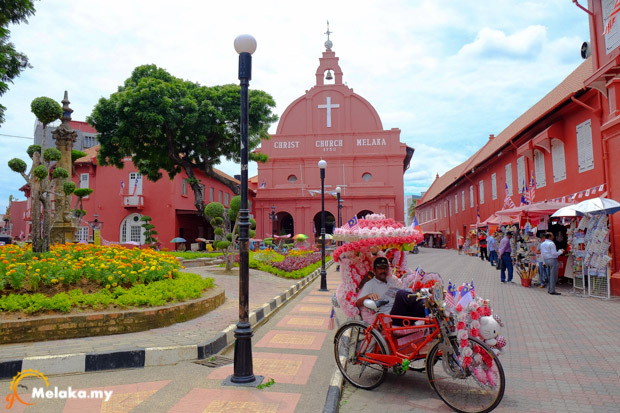 Not forgetting the vibrant colorful trishaws enticing tourists with blaring hit songs. 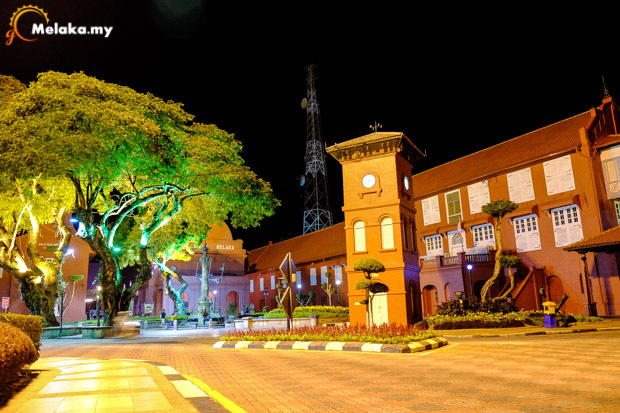 This area is extremely photogenic so make sure your camera battery is fully charged. 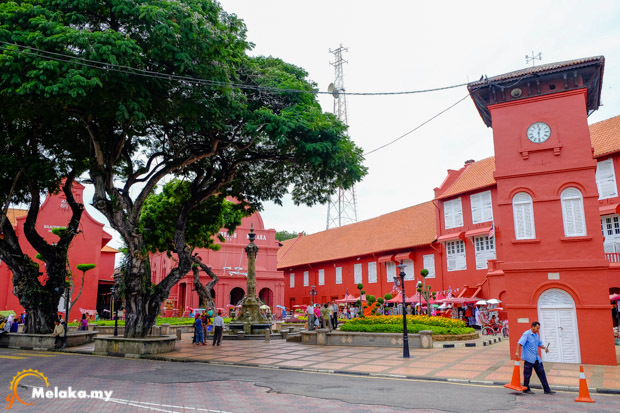 It is because of the red buildings standing high at the center of the town that the place is named the Red Sqaure, and also the Dutch Square. 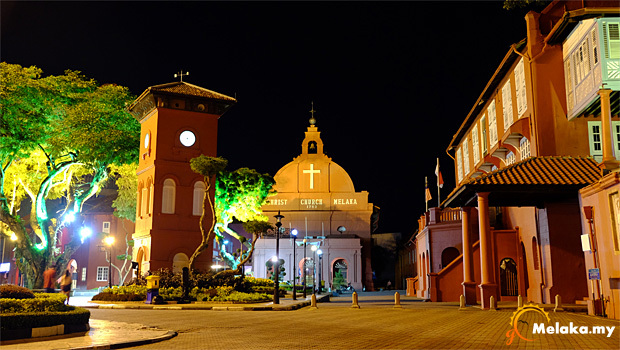 I took a good number of snaps as these Dutch inspired buildings looked exquisitely beautiful at night looking colorful with the lights on.